WILLIS, Virginia—Mountain Fever Records is pleased to announce the release of a new album from international artist Kristy Cox. Ricochet is available to radio programmers and consumers today! For her new project on Mountain Fever, Cox has once again teamed up with producer and songwriter Jerry Salley. Salley’s reputation as a writer among the elite artists in bluegrass and acoustic country music stands on its own without question, but partnered with Cox, the two have proven to be quite the formidable pair in writing and recording great music. Ricochet is a strong example: seven of the ten tracks were co-written by one or both of them. The title track was released in late 2017 as the album’s first single and has already landed on Bluegrass Today’s Top 10 Songs. The opening track, “South To North Carolina”(Cox/Salley/Michael Rogers) will resonate well with die-hard bluegrass fans and proves that Australian-born Cox is equally at home in the U.S., both musically and geographically. If radio programmers are looking for the next great duet for their playlists, they need look no further than “A Bed This Cold” sung by Cox and Brandon Rickman of the Lonesome River Band, who also penned the song with Salley. Additional guest vocalists include Salley, Rogers, Maggie Salley, Donna Ulisse, and Josh Swift. Adding to this already solid recording is an all-star cast of musicians; Jason Rofler (fiddle/guitar), Justin Moses (Dobro/mandolin), Aaron McDarris (banjo), and Mike Bub (bass). 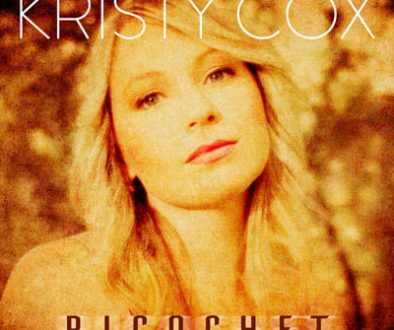 Ricochet will likely find a rightful spot among listener’s favorites, thereby giving Kristy Cox some well-deserved longevity in bluegrass music. 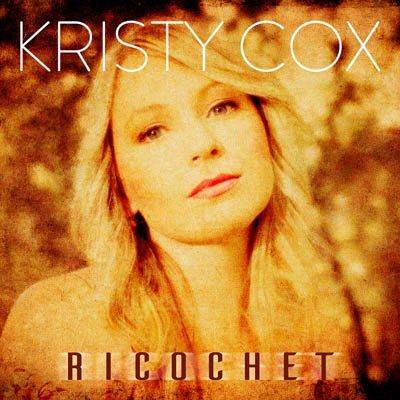 From a young age, Kristy Cox captured plenty of attention with her distinct singing style and positive nature, resulting in opportunities to open shows for major acts and making regular festival and television appearances across Australia, Europe, and the US. In 2015 she was selected as an official showcase artist for the International Bluegrass Music Association (IBMA) where she began drawing the attention of music industry professionals. With a string of #1 hits on radio and country music television in Australia, Kristy has also made headway on the US bluegrass charts in recent years. Her last two projects, produced by Grammy® winner Jerry Salley, were very well received, with the latest making strong appearances throughout 2016 on multiple album and songs charts. 2017 kicked into high gear when she won “Bluegrass Recording of the Year” from the Country Music Association of Australia.